Honestly... This came out a lot earlier than my predicted date... Even I'm shocked! Nonetheless it has been announced - The Baroque Works Batch will come out next week (24th Febuary: 17:00 PST). So are any of these units worth the Fruits? 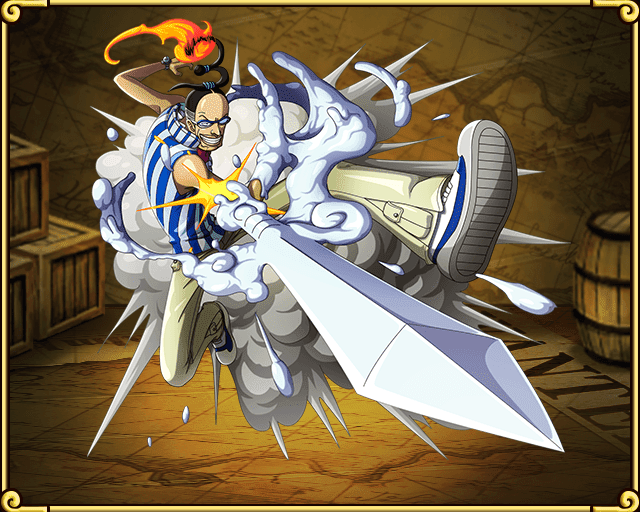 Special Move: Deal STR damage equal to 20x this Character's ATK. Mr. 5 is the first of the new units. He has usable stats but isn't that all fantastic. 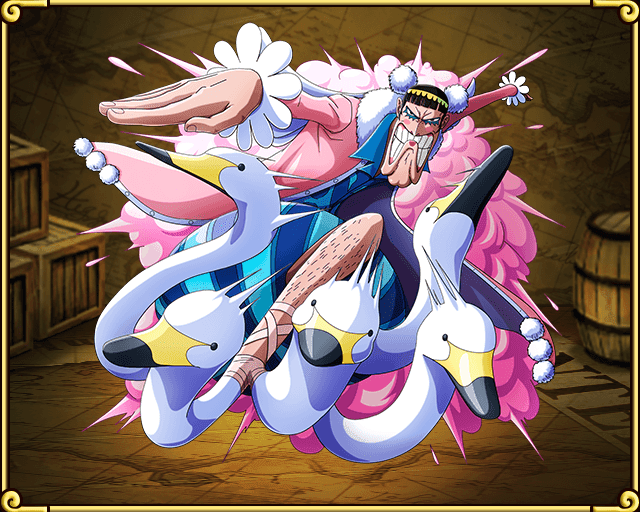 He is however, a great filler for STR Teams and can even lead them (if you don't have Luffy Gear 2). In any case, he will probably stay as a filler unit as units like Arlong and Luffy can outclass him as top-dog. His 4-Star being a Shooter really limits his potential as Shooting teams aren't exactly popular and STR teams will only use him as a filler. An interesting Orb Converter for QCK Teams. Used with Johnny, you could double the damage of your Heavy-hitter units. Valentines Day is a fine addition to the QCK Teams that can be used as a Support Unit that can hit for some damage. 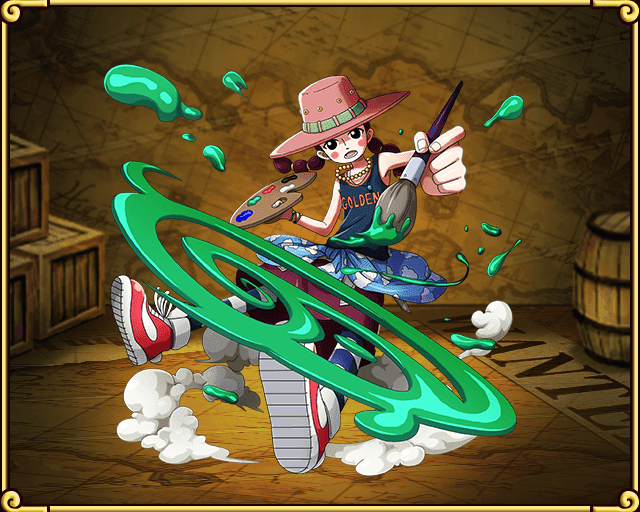 In a multi-coloured Fighters Team, it can be a bit tougher to use her special properly, but if you position her team mates around her well - Sanji/Ace, you could help them our there as well. Overall a nice decent new unit that can be considered as a Support. 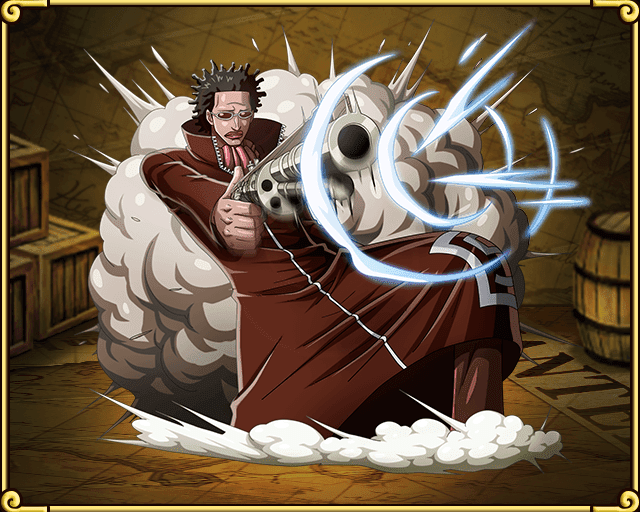 Mr. 3 is one of those characters that's used occasionally in JPN Teams today. Many people have realized that the Slasher Teams isn't one for utility - well Mr. 3 has some... but not a lot. The 1-Turn delay is obviously weaker than Golden Hammer Usopp - but is more "tailored" to match the play style of Slasher Team's quick clear with a lower cooldown (13-Turns). In either case, Mr. 3 is fortunate to be a part of both the current top team (Slasher) and the up and coming team (INT) meaning he'll be a valuable pull either way. Miss GoldenWeek is obviously a Support unit with weak attacking stats, However, she does have the highest Recovery in the game and a defence breaker for DEX Teams. This will help DEX Teams take down menacing "tanky" opponents like Smoker in future content. She's a really niche pick-up with not the brightest stats or leader skill. She's okay at what she does - "Supporting", but I wouldn't recommend her for a main team. Remember that Chopper/Guimon that was valued highly due to their Food Conversion skills? Well with Mr. 2, your whole team can have [PSY] Orbs which will double your team's damage! Combined with Shank's lead - Mr. 2 is really the unit PSY has been waiting for. Used today in the JPN Meta for the PSY One-Turn Knock-Out Team - Mr. 2 will prove a worthy investment time and time again. Special Move: For 1 Turn, All INT Characters gain 2x ATK. The start of the rise of the INT Teams begins with Nico Robin. Her ability to double all INT's ATK for 1 turn is extremely powerful when combined with powerful allies like Don Krieg and Buggy. Add the Orb-Conversion from Brain-Point Chopper + Buggy, and you can see why the team is considered the best team for killing Bosses. Nico Robin is still used (and is a staple) in JPN INT Teams today and will be the best pull from the batch. I will see you in the next batch of Rare Recruits - Straw Hat Pirates Version 2! !